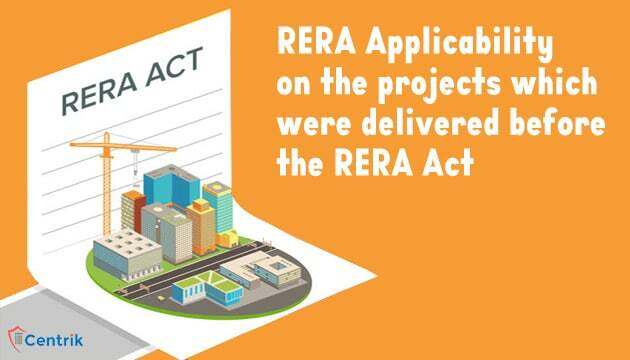 Since the RERA Act, 2016 has come into force, there have been various practical issues which are still unanswered. In many of the instances, the RERA Authorities receives the complaint of the projects which were handed over long ago before the RERA. In one of the similar case, the Gujarat High court sought replies from the State and RERA Authority to a petition filed by the one of the developer against the notice issued by the RERA Authority; the notice was issued on the basis of the complaint received from the residents of the project, delivered before RERA, about the deficiency of the services by the Builder. In its petition, the developer claimed that all the houses of the project were allotted to the purchasers in 2012 and the management of the society was handed over in 2013. Here the builder, contended that the RERA does not have a power to take actions for the cases, wherein the possession was handed over way before the RERA implementation. However, the RERA provisions does not restrict the home-buyers on the basis of any timeline, as per the RERA laws any aggrieved person may file a complaint if there is any contravention of the RERA act, rules and regulations. Moreover, there are also the provisions, wherein if the allottee brings into the notice to the builder regarding the defect of services with in the period of 5 years from the date of handing over the possession then it should be rectified with in the period of 30 days without any further charges and if the builder fails to do so then such allottee is entitled to receive the appropriate compensation as per the manner provided in the Act. The next date of the hearing is scheduled in the month of June so subsequent hearings on the matter might shed some light on this matter.